Cynthia Matheny is the best realtor I have ever known! I chose Cynthia's name out of many, many reviews I read online. She is exactly the kind of realtor everyone needs/wants when selling a home and here is why. She is attentive and listens. She is extremely knowledgeable and goes the extra mile in any and everything to make sure YOU are ok and that your goal is met. She very communicative and anticipates what is coming next. Cynthia was always there to rally my spirits. She was my cheerleader, adviser and always had a resolution to any problem. Because of Cynthia's guidance and advice, the house was able to command a higher than anticipated sales price and closed within 30 days. I highly recommend Cynthia and her team! We expected a long journey to sell our house, in these times. To our complete amazement and satisfaction, Cynthia Matheny had all the professionals in place, staging the house to look just right, the correct photographer/videograher. Bing, Bang, Bang, people making appointments every day twice a day to show the house. We had a strong cash buyer in one week, we were so thrilled! I want to highly recommend Cynthia Matheny to anyone looking to buy or sell a home. Cynthia is not only very knowledgeable about the process but she has that special touch that sets her apart from others. Cynthia responded to our questions and concerns immediately upon receipt and was of great support as well. She deserves special recognition for all her efforts, consideration and care. Thank you for all your hard work and kindness! This review cannot fully express how grateful I am for finding Cynthia Matheny and her team at Carolinas Property Shop. Cynthia came highly recommended by a friend and she lived up to all the praise! Previously having sold my first home in Charlotte (that transaction was not a positive experience) but Cynthia helped me appreciate what a great realtor can accomplish! When listing my home, she established market expectations (as I was trying to sell home during the holiday season- November/December). She arranged to have the house staged in less than 1 week from our original conversation and she found me all the options available, with each listing opportunities and scenario spelt out so that I could choose the best plan of action for me. Cynthia and her team maintained proper contact and follow up throughout the entire listing process and I am happy to say-she sold my house in Ballantyne at the price I needed, in my time frame, while ensuring that I felt comfortable throughout the entire process. I trust Cynthia because she is professional, committed and an overall really nice person! She is a phenomenal real estate agent and I would recommend her to everyone thinking of listing their home! Above and beyond! That perfectly describes Cynthia and team at Carolinas Property Shop. We're able to move our family from Maryland to Charlotte in two month (record time for us) because they went above and beyond. It started with an immediate response from our inquiry for more information on a house we liked on Zillow; to working magic with the banks and counter parties to close the house; and continues today with arranging help to get the house in move in shape! 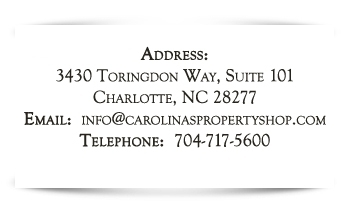 Carolinas Property Shop is not only a team of capable individuals; Cynthia and her team are delightful to work with. Cynthia is the best Real Estate Agent we have worked with. She helped us through the purchase of our last home. Not only did she help us find this amazing home she helped us with the perfect timing to make an offer on a home that is now worth $100k more than what we bought it for 3 years ago. She also helped us sell one of our rental properties in 18 hours. She knows the market is great at helping you narrow in on what you want to purchase or what you can truly sell your home for. We recommend her to all of our friends and we intend to use her on the purchase of our next home. I interviewed three agents before deciding on Cynthia to represent us on the sale of a house we had been renting for more than 20 years. She provided more information, and better follow-up, than the other agents I consulted. The photography, staging and prep work she recommended and arranged on this 50-year-old house helped us to find a committed buyer in less than two weeks! The price, too, matched our expectations. Everything went smoothly. I highly recommend her and her team. Carolinas Property Shop was a pleasure to work with! Everyone was beyond helpful throughout our entire buying and selling process. They were there with us every step of the way and always available to answer any questions. My experience with Cynthia and her team was best from the best! 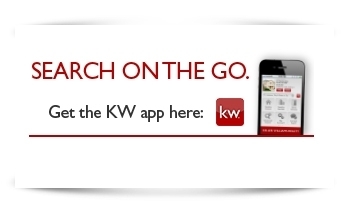 She is very knowledgeable, professional and helpful real estate agent we had a pleasure to work with. I would highly recommend Carolinas Property Shop. They work very hard; our closing date was within one month! We love our new home! Thanks to Cynthia and her team! We are very pleased with awesome work!